Is Big Mac 2010 Still The Gold Standard? 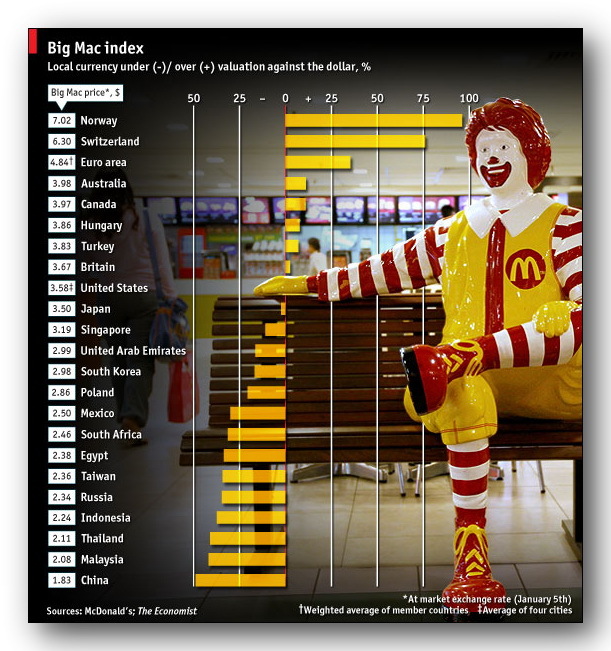 It’s the Economist Big Mac Index for 2010. That’s pronounced “Twenty-Ten” F2u Rio Linda. Just to review, The Economist has been publishing their (not so tongue-in-cheek) Big Mac Index since 1986. It’s a reality check on world-wide currency exchange rates, based on the concept of Purchasing-Power Parity. Purchasing-Power Parity (PPP) says that exchange rates are correct when the price of similar goods are the same in each country. The Big Mac survey compares the price of a Big Mac all over the world. The Big Mac is, after all, a basket of standard ingredients put together in a consistent process. Anyway, this week’s 2010 survey says that should the Big Mac price in a country translated into dollars be above $3.58, its cost in America, the currency is overvalued; if it is below that benchmark, it is undervalued. But our Burger-In-Chief seems to be causing a few upsets. Last year the best deal in town was Hong Kong. This year they don’t even make the chart; wassup? Did the mainland hackers get into the Economist gMail account? 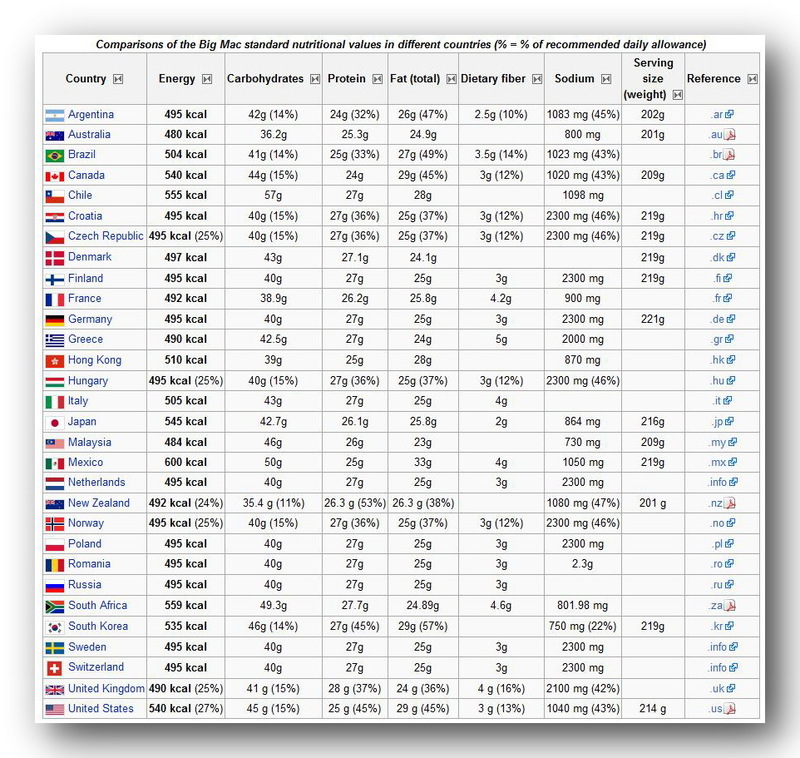 And perhaps more disturbing, Wikipedia has compiled a comparison chart of Big Mac stats worldwide, which seems to indicate it’s not quite the Gold Standard of Standard. Are Not All Big Macs Equal? We're Shocked ... Shocked! And I’d say that Wikipedia has certainly Earned Their Chops on this one. Unfortunately, it makes good sense to me to use a Big Mac as a monetary standard. Maybe it is because I can understand the logic of this and not much else.